Meet the men of Centurion Corporation—an elite group of mercenaries who will go to any extreme to complete a mission…even risk their hearts. 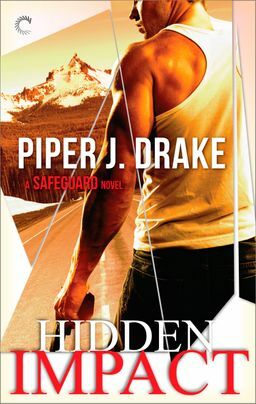 A new high-stakes series by Piper J. Drake. As part of the elite Centurion Corporation team, military-veteran-turned-mercenary Gabriel Diaz is a natural defender. He'll do anything to ensure a mission is successful. Anything but get emotionally invested—he learned the hard way that can be deadly. Easy bodyguard jobs in between the more challenging missions are all he's interested in now. Maylin Cheng is desperate and running out of time. Her younger sister has gone missing but no one seems to take her concern seriously. Her last hope lies in asking an aloof bodyguard for help. He dismisses her outright, but all that changes when she is almost killed in a not-so-accidental hit-and-run right before his eyes. As Maylin leans on Gabriel, she begins to rely on him for more than just her safety. But as their attraction grows, so does the danger surrounding them. When the elaborate web they're trapped in unravels, Gabriel will do anything to protect them. Even if that means putting his heart in the crosshairs.